This entry was posted on November 1, 2009 at 12:01 am	and is filed under Uncategorized. 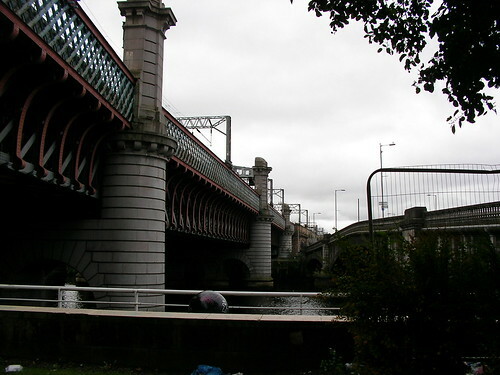 Tagged: bridge, Clyde, Glasgow, river. You can follow any responses to this entry through the RSS 2.0 feed. Both comments and pings are currently closed. Yep, another year has gone by in a blur. The bridge series has been interesting Jackie. I have so enjoyed your look over and under the bridge! Very well done! ***IF*** you figure out WHERE this year has gone, please do tell!!!! Even my kids are scratching their heads in wonderment!